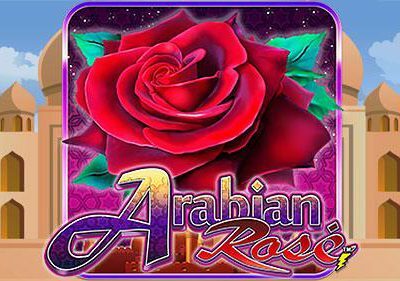 Charming Middle Eastern theme, the Arabian Rose is the kind of video slot you play when you need a bit of distraction from every day life. This exotic slot has 5 reels and 40 paylines, a lot of over-the-top symbols and background tunes to enjoy. 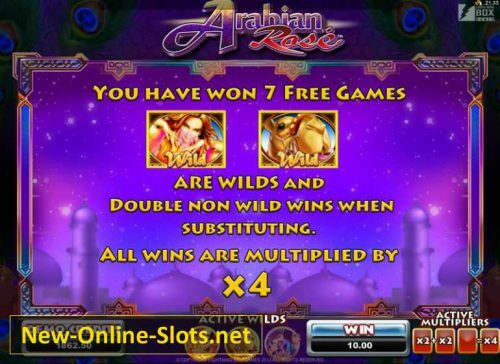 The Arabian Rose slot has a pretty simple set-up, it’s a slot that doesn’t require too much thinking. Simply place your bet and start spinning the reels. In spirit with the Middle Eastern theme, you’ll find symbols of for example peacock feathers, a (magic) teapot and a camel on the reels. You can try it out for free at one of the selected casinos. 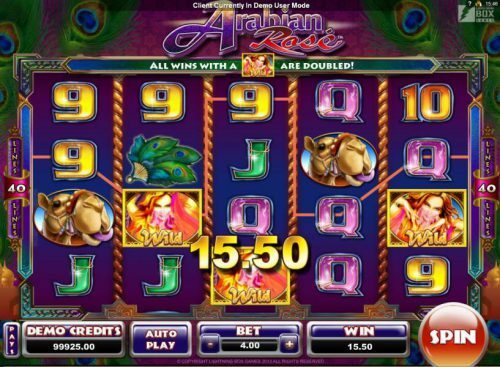 Middle eastern symbols along with classic number and letter symbols is what this slot is about. Each of the symbols have a different value. You can recognize the wild symbol by the image of a belly dancer. The rose gets you to the bonus game, but only if you land more than 3 on the reels. Get prepared for some in your face ‘background’ music. At least it keeps things interesting. You’ll enjoy the cool symbols, each have their own look but fit perfectly in the exotic Middle Eastern theme. 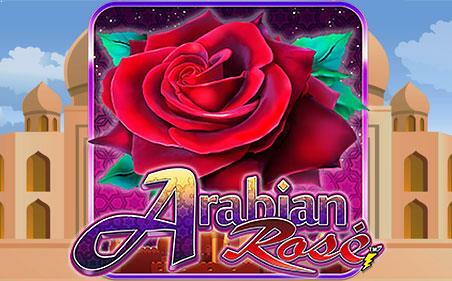 The Arabian Rose slot is developed by Microgaming. They’ve had a strong presence in the online gaming world since the early days. In recent years they’ve managed to differentiate themselves once again by developing excellent mobile phone software. Which means that you can play Microgaming’s slot from the comfort of your phone and not compromise on the quality of the graphics one bit. This slot isn’t progressive, but it does have a jackpot of 2000 coins. Which is pretty decent. Your bet has to range between 0.40 and 4.00. There is an Autoplay function available if you don’t want to give playing this slot your full attention.